A maintenance is planned today on Sosblog servers and will last a few hours. 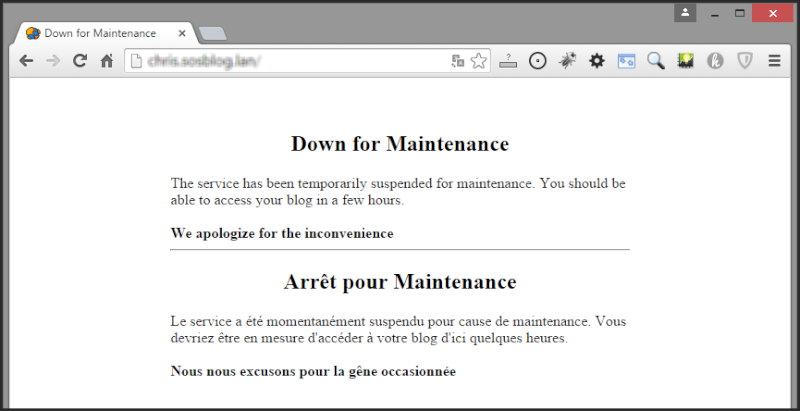 By consequences, the access to the blogs will have to be shut down during the intervention and you will encounter this page during the intervention. We apologize for the incovenience and we thank you for your understanding.